When many people view an author as just fabulous, that writer sells boatloads of books. Remember when everyone was reading the latest Stephen King? Other authors write memorable books, but they only do it once— Margaret Mitchell and Harper Lee come to mind. Some writers are prolific, but it seems impossible to remember the plot of any specific book. Numerous such authors are still writing, but I am reluctant to name a living one, since I really don’t want to make my readers angry. So, I will list a prolific author who probably won’t complain, since she is no longer writing— Barbara Cartland. She wrote over six hundred novels, but I can’t recall any standouts. Then there are some obscure writers who ought to be less so, and Darrell Bain is one of them. I’ve read several of his yarns, and they are invariably memorable. 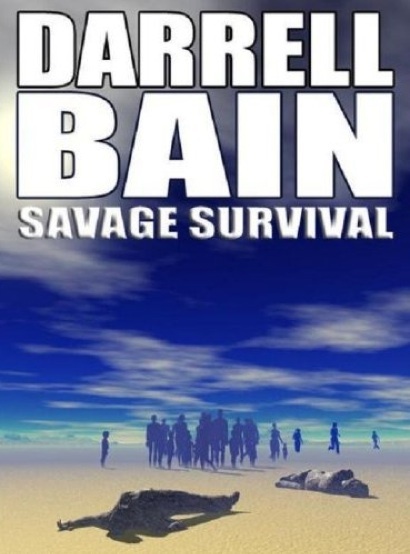 Savage Survival is typical Bain— something extraordinary interrupts ordinary, and characters rise to the occasion, or they don’t. I’ve seen grace under pressure— my mother was almost always cool and competent, regardless of her circumstances. My husband has that same quality— he manages the most difficult of situations without unnecessary drama. Such people have character, and I greatly admire that quality. In Savage Survival, the main character, Lyda Brightner, is eleven years old. Yes, she comes of age, rather quickly, but she remains vulnerable enough for readers to be empathetic to her. Various adults interact with Lyda as the story unfolds, but the focus is always on her. Not since Oliver Twist have I followed a youngster through so many trials. Like Dickens’ classic tale of social inequality, Bain’s story is about the crucible of humanity under extreme pressure, but it is also about how people can either make bad times better or worse. There is something distinctly old-fashioned in Bain’s themes, and I don’t intend that as a criticism. In Bain’s books, he tells you who is good and who is bad, and those who are evil suffer for their wrongs, usually at the hands of the hero. Pretense, which is an integral part of modern life, is quickly exposed in Bain’s pressure cooker, and Lyda has no qualms about dispensing justice. Such authenticity is only found in fiction these days, which is ironic, isn’t it? The story is science fiction, but it is soft-scifi, because Bain never bothers explaining how anything works. Instead, he spends most of the novel showing how people react to it. With my fairly busy schedule, I often begin a book and I’m still working on it a week later. Others are more compelling. Savage Survival took me about 24 hours, and that is only because I do have to sleep sometime. Lyda Brightner got under my skin in such a way that I just had to know how it was all going to play out. I read the eBook version, but I believe the publisher, Double Dragon, also put a few hundred into print. Whether you choose electrons or ink and paper, I highly recommend Bain’s books, and this particular title is quite worthy.